The High Court on Tuesday asked Bangladesh Road Transport Authority (BRTA) Chairman to dispose of the plea within a month that sought permission for 163 Suprobhat Paribahan buses to ply on the roads. The HC bench of Justice Moyeenul Islam Chowdhury and Justice Md Ashraful Kamal came up with the order following a writ petition on this issue. 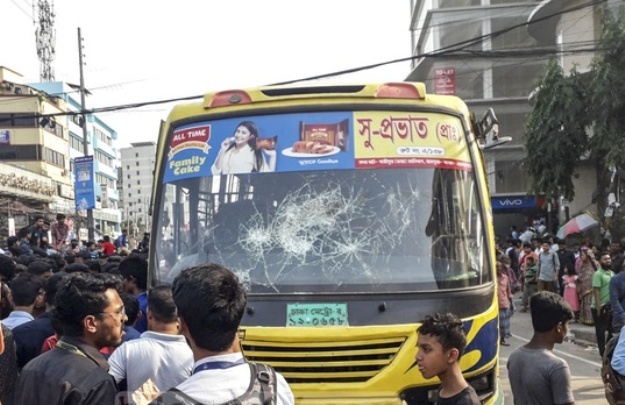 Suprobhat Paribahan’s route permit was cancelled by BRTA following the death of Bangladesh University of Professionals (BUP) student Abrar Ahmed Chowdhury after being hit by one of its buses at Pragati Sarani in the capital on March 19. Following the order, Suprobhat Paribahan’s Managing Director Md Ashraf Ali sent a letter to the BRTA on April 1. Later, a legal notice was served to BRTA on April 8 as it did not reply. Being failed to get BRTA permission, Ashraf Ali filed the writ petition with the High Court on Monday seeking an order on BRTA to dispose of its petition.